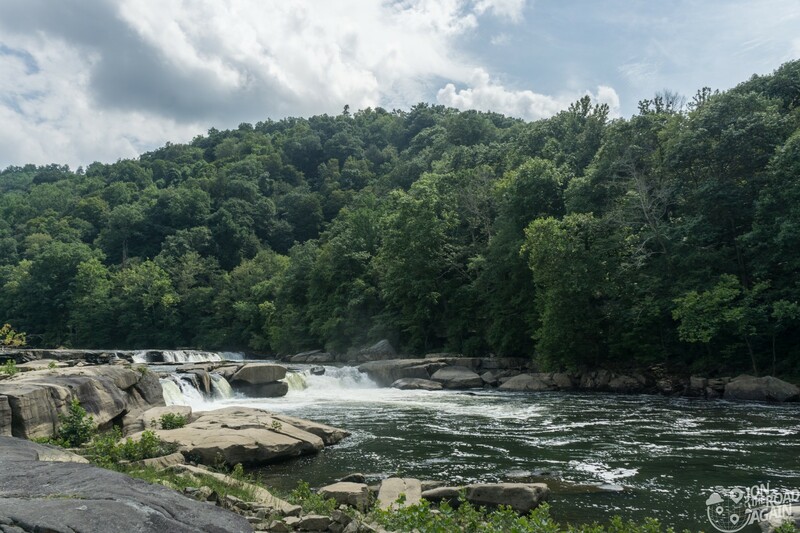 Still out riding motorcycles over the roads of wild, wonderful West Virginia with my dad, today we’re stopping off at Valley Falls State Park. 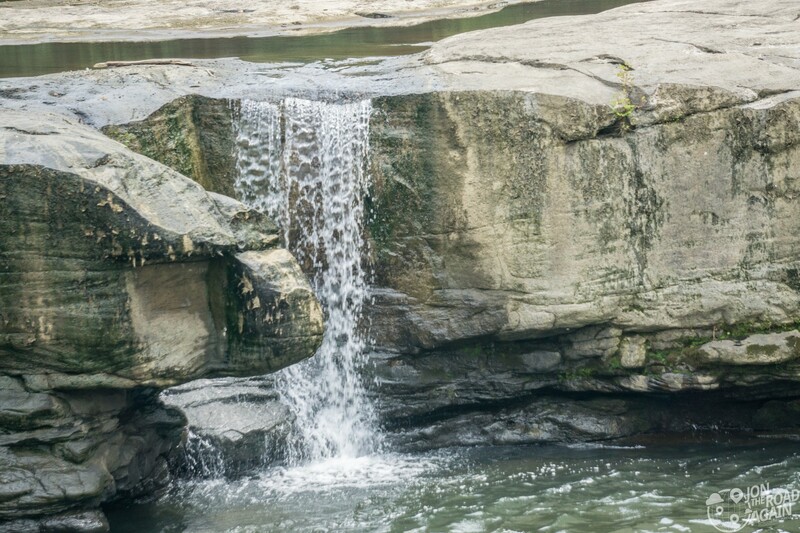 The park is 1,145 acres of rolling hills, flat rocks, hiking trails, picnic areas, and beautiful waterfalls. It’s a popular local destination. Since it’s only 7 miles south of my hometown, I know it well. I am excited to come back with a good camera to grab some photos. 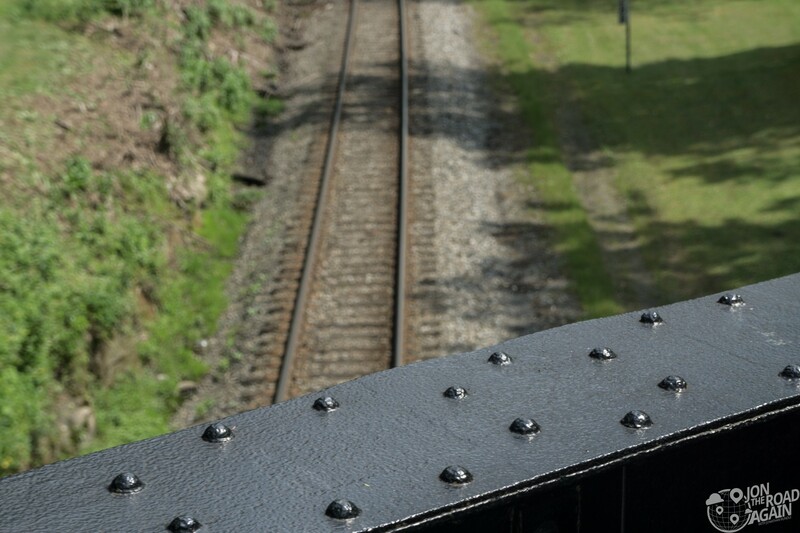 The walk from the parking and picnic area crosses a railroad track. Could’ve been cool if a train rolled through, but none did. 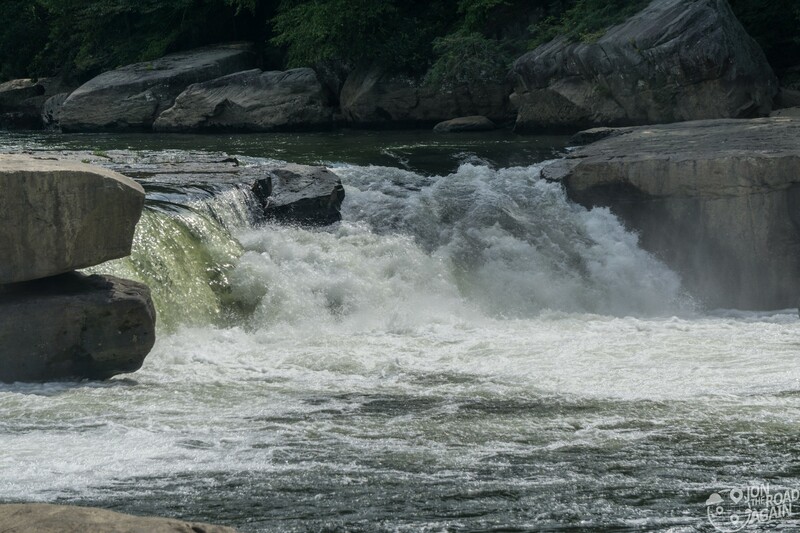 Roaring in the distance are the falls which are part of the Tygart River. 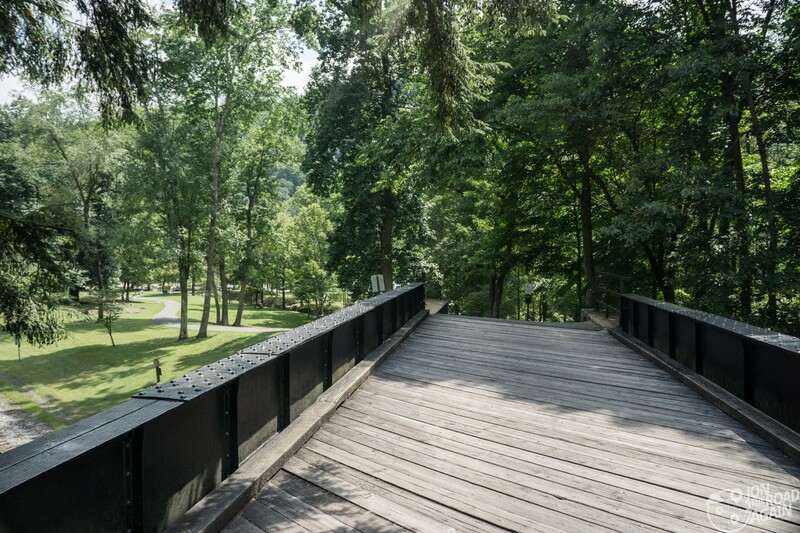 You may recall our previous visits related to the Tygart River – the Philippi Covered Bridge and Tygart Dam. 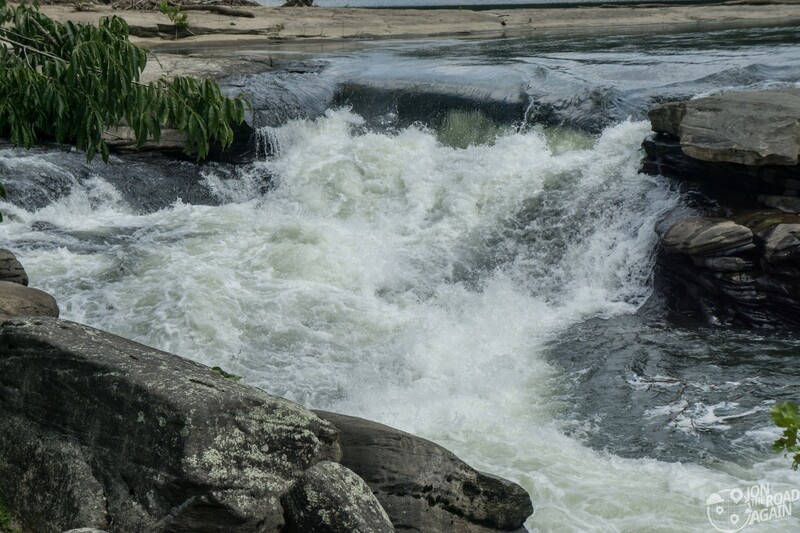 This river and falls serve as the border between two counties: Marion and Taylor. I used to spend a ton of time at Valley Falls. 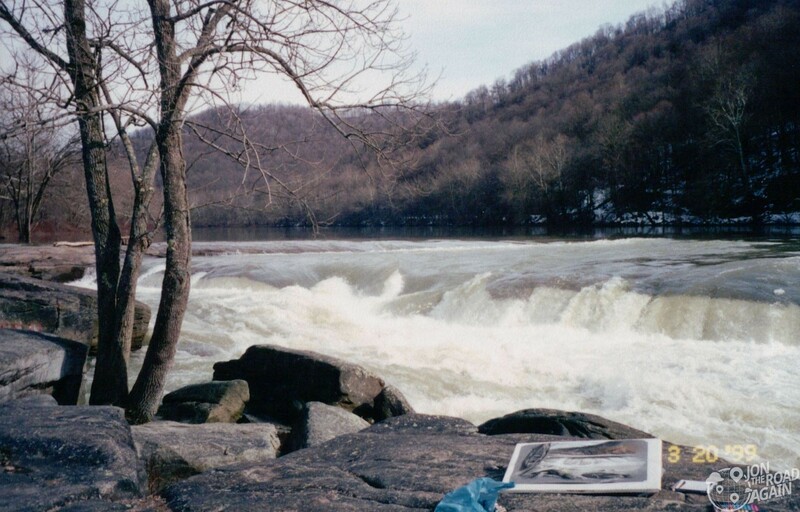 It was a favorite spot of mine to come and do a little “en plein air” pastel and charcoal drawing. Not bad, young Jonathan! I’m sure this exact drawing is rolled up in a tube somewhere in my parents’ house. What captivated me then is probably what captivates most who come here. 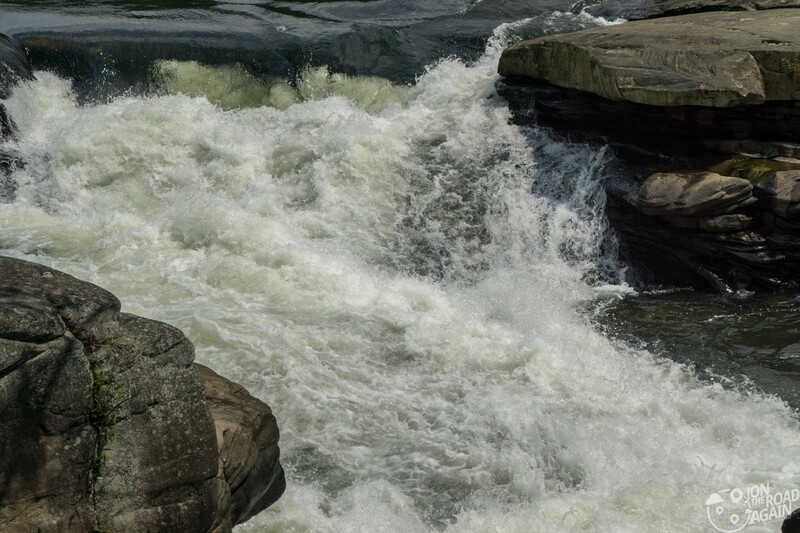 The beauty, the view, the power of water, and the ability to get up close and personal with the waterfalls. No safety ropes here. 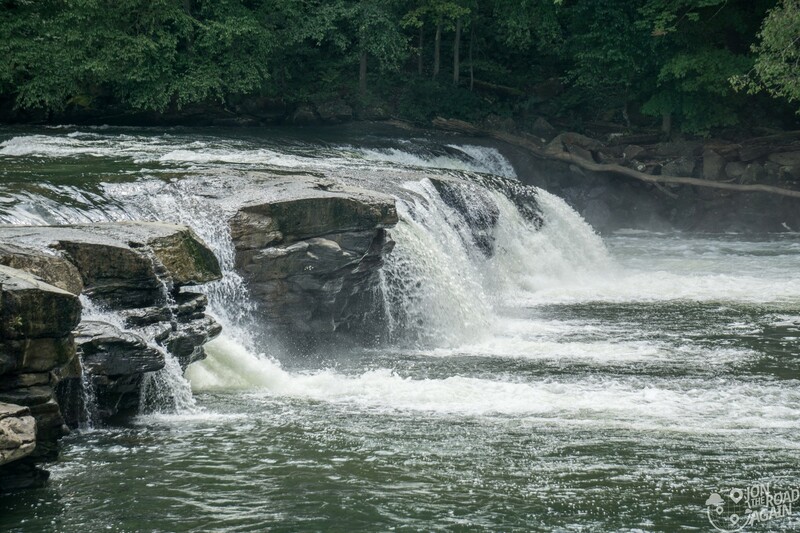 You are not allowed to swim here – there have been deaths at the falls. 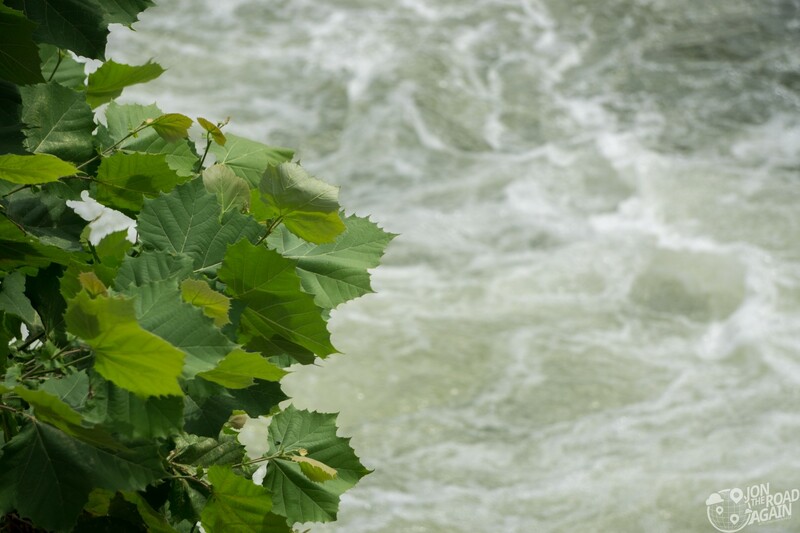 Water, alcohol, rocks, swift current; not a good combination. However, with permission from the state, you can kayak here. Most prefer to sit on a warm, sunny rock and watch the water roll on. 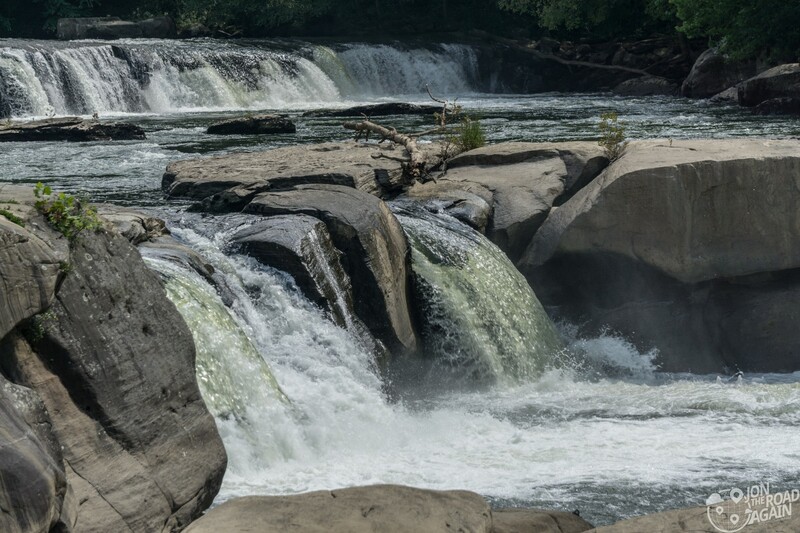 The main upper and lower falls are the most impressive parts of the river, but there are many other falls and rapids southeast of here. 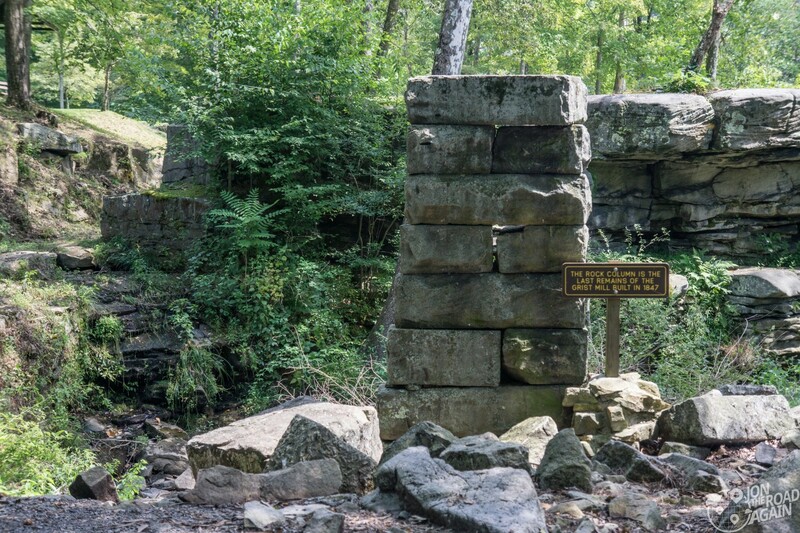 During the 1830s, a trader acquired what is now Valley Falls State Park and built a lumber mill which was later followed in 1847 by a grist mill. With the completion of the Baltimore & Ohio railroad line, from Grafton, WV to Wheeling, WV the community began to boom, with a ferry, post office, shops, a factory, and schools. Walking through the park, there are a few remnants of this old “booming” town. This sign explains everything to know about the site in greater detail than probably anyone would ever want to know. Fun fact: I actually helped create this sign when I worked for a local sign company in my college years! I should’ve brought some Windex. A fire in 1886 followed by floods two years later destroyed much of the town. 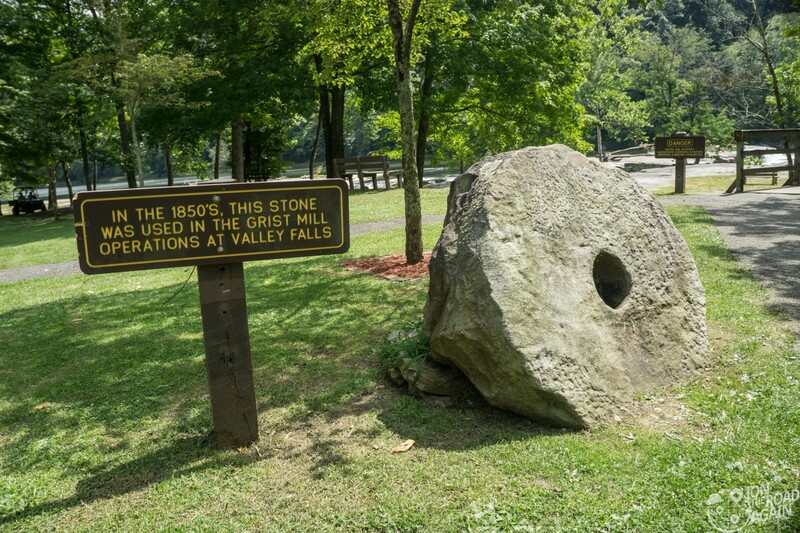 In 1964, the West Virginia state park system acquired the falls and surrounding land and created the Valley Falls State Park. 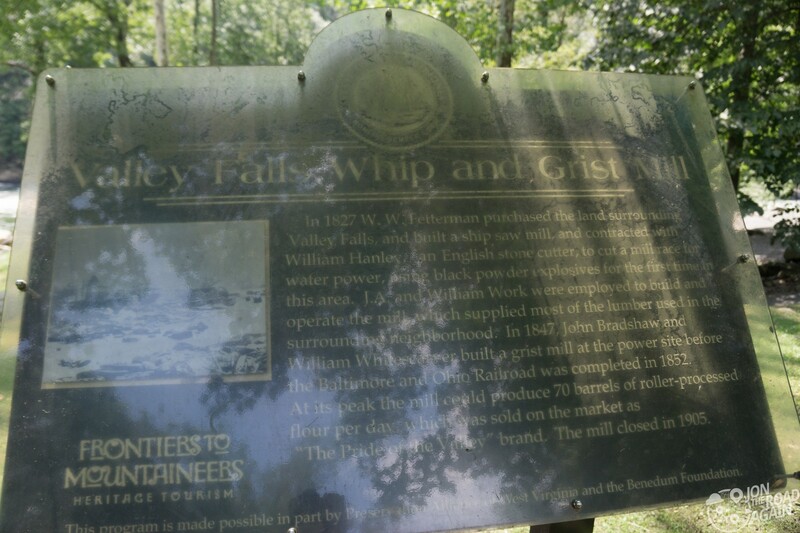 Valley Falls is a day-use park; no camping overnight. The park opens at 7am and closes at dusk. 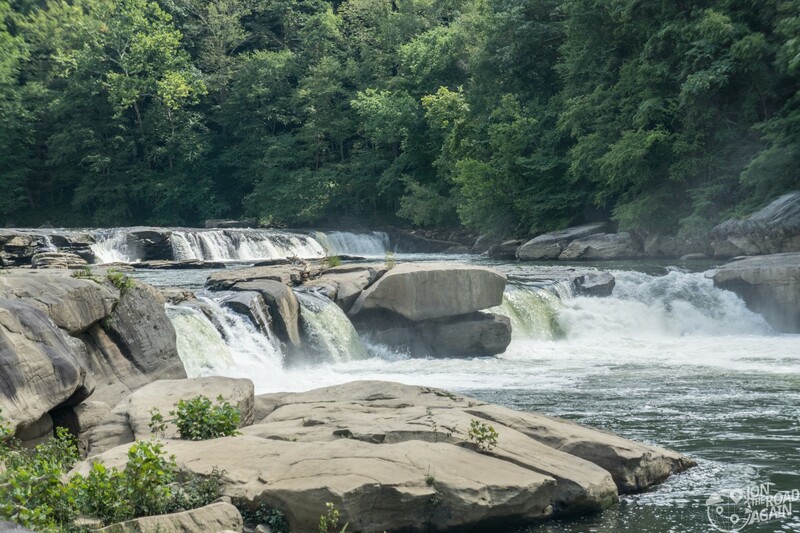 There is no admission fee charged at any West Virginia State Park. This is beautiful.Can you believe I’ve never been there!! !